If your business or organization is in need of business cards, we offer multiple card stocks and custom designs with strict quality standards. We've provided cards to many different types of businesses with excellent feedback and a consistent returning customer base. It's important that your business cards are at a quality that we ourselves would use, and we refuse to have it any other way. 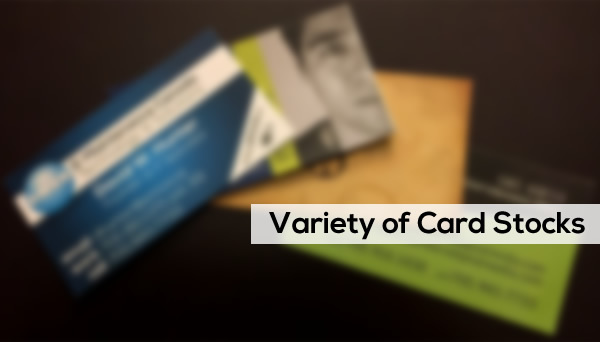 Contact us today to explore the different options from standard business cards to textured or metalic accented cards that leave an impression.